Extreme weather events and how to implement the Paris Agreement will feature highly at COP23. The United Nations' Climate Change Conference kicked off in Bonn today, formally called the 23rd Conference of the Parties (COP23). Official business is about how to implement the Paris Agreement. But as at all political gatherings, the conversations in the corridors are just as important. Fiji is the President of COP23, and its agenda is to highlight the threat posed to small island states by climate change. Fiji has become the first emerging market to issue a sovereign green bond, raising 100 million Fijian dollars (US$50 million) to support not only climate change mitigation, but adaptation. This is an important signal that adaptation needs more attention. It has often been eclipsed by mitigation technology, which offers more mature opportunities. But urgent action is needed on both fronts. The headlines made by this year’s hurricanes, soaring temperatures and wildfires will ensure talk is grounded in practical reality rather than theory. The US is retreating from their hitherto impressive position. President Trump’s withdrawal from the Paris Agreement in June raised concerns about whether the pact would endure. But China recognizes that the continued growth of its clean economy presents opportunities, and has strengthened its leadership position accordingly. Others, including Europe, Canada and India, are also standing firm. The statement by the G19 following President Trump's withdrawal gave a clear indication that the group would not backtrack on its environmental ambitions. When the economic benefits of clean policy decisions are starting to pay dividends, why would it? After the White House’s disappointing move, certain US State Governors stepped forward as bold leaders. California, Hawaii, Massachusetts, New York and Minnesota have all set their own targets for emissions reductions. This will ensure the US stays aligned with the climate action that businesses want to see. It is not clear how much direction will come from the White House in dictating the US negotiating position during COP23. The promotion of fossil fuels is likely to be on its agenda. Trump is on his first Asian tour and is preoccupied. But despite the US' official position, the voice of American businesses, states and cities will be resolute in their commitment to dramatically cutting emissions. Businesses, states and cities - in the US and elsewhere - have a strong voice. The Talanoa Dialogue is an official discussion at COP23, focused on how countries can increase their targets for reducing emissions. (Talanoa is the name of a Pacific Islander approach to group discussion which ensures a constructive, transparent and solutions-oriented dialogue). This discussion kicks off in Bonn and will run up to 2018's COP24 in Poland. 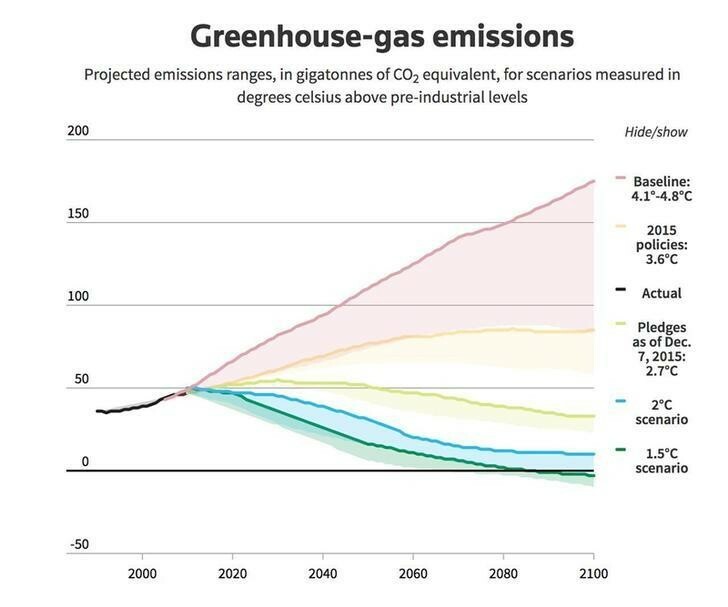 The latest UN Environment Emissions Gap Report indicates that many countries are on track to deliver their 2020 goals, including China, the EU28, India and Japan. This shows that targeted policy measures which support market growth in low-carbon technologies can stimulate investors and private sector to shift their focus. The reaction from the private sector and other non-state actors is critical as the Dialogue continues throughout 2017. Evidence that low-carbon choices are synonymous with economic prosperity help to generate the confidence that governments need to increase their ambition. Although climate finance will not be on the negotiating table at COP23, it remains a thorny issue and a hot topic of conversation. Stimulating blended public-private sector finance options to enable low-carbon and climate-resilient investment is a key focus. The latest report from the International Finance Corporation details the opportunities. With the NDC Partnership building support from governments, efforts to support finance flow are accelerating. While financing options for mitigation technologies are obvious, increased private sector funding to support sustainable land use and climate adaptation are topics shooting up the climate finance agenda. These areas are likely to receive further attention at December’s Climate Summit in Paris. More and more businesses, cities, states and regions are seeing the benefits of a low-carbon economy. Low-carbon solutions are increasingly becoming low-cost solutions. Up to half of current annual emissions could be reduced through the application of renewables; more efficient use of energy in buildings, manufacturing, heavy industry and transport; afforestation; and stopping deforestation, according to UN Environment. Demand for renewable power, electric vehicles and energy-efficient technologies is rising. Companies are setting evidence-based targets, showing leadership and also being transparent with investors about their low-carbon strategies. This helps create certainty about the transition to a clean economy. This in turn provides evidence and feedback for governments, which informs them about how to develop and support mechanisms to accelerate the transition. These conversations will not end at COP23. From Bonn to Paris, Davos to California, and New York to Poland for COP24 in 2018, there are opportunities ahead to celebrate successes, take stock of progress and step up ambition.